Euroworks is your #1 source of OEM Parts, Replacement Car Parts, and Recycled Car Parts for all European car models! Located in Calgary just off of Barlow Trail and 16th Avenue NE, Euroworks offers genuine OEM parts for all European makes and models. We are committed to providing the widest selection of quality parts, all at the lowest prices available. We have a reputation for high-quality inspected used parts and we also carry factory-new replacement OEM parts, so whatever you choose we can certainly help you. Euroworks Parts Department provides the best customer service possible and we guarantee customer satisfaction when you purchase from us. Be sure to let us know what your budget is and we'll be able to accommodate better than most. With over 50 years of combined experience in the automotive industry, our knowledgeable staff are available six days a week to meet your parts needs. 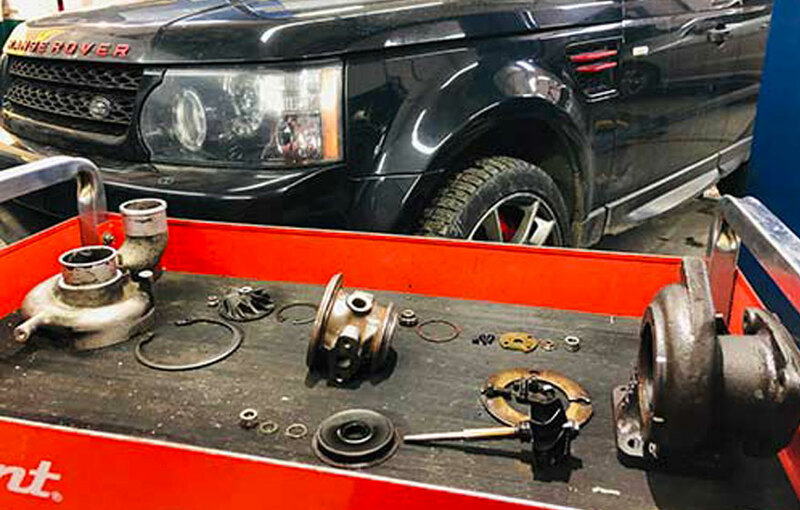 Euroworks' mission has remained the same; to provide our loyal customers with the best selection of high quality parts, service, repair, and sales. Come to us for your car parts needs and we guarantee you'll find what you need and have a great experience with our team! We sell quality New OEM and After Market Parts for all makes and models but we specialize in European Vehicles such as BMW, Audi, Mercedes, Porsche, Mini, VW, and Volvo. Our sales staff has great knowledge in our Parts Department when dealing in European Autos and it translates straight into our Service Department. Do give us a call or reach out to inquire. Our selection of all Volvo parts is outstanding which is something we pride ourselves on and have built our company through. We provide new and used quality parts for all models years of Volvos and we get different models and years of Volvo cars in daily for used parts, so contact us about what genuine Volvo parts you need for your car. New or old, you'll find the quality Volvo parts you need in our huge parts inventory.